It’s the most unusual friendship I’ve ever had. We talked on the phone, often weekly, for over 30 years, but got together in person maybe a dozen times. Her job was to suggest new songs that Magic 98 might play. Donna grew up in Tennessee, and after a taste of college radio, she helped create a popular Nashville station. That success led to her being one of the first female radio programmers when she joined WSB-FM in Atlanta. After that, she became a columnist for an industry trade magazine before launching her own music promotion company. Donna did all this by age 30. We would get together for lunch whenever there was an industry convention. 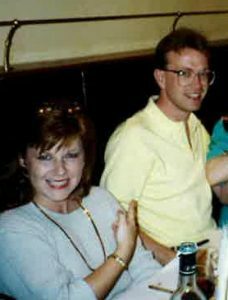 I visited once when passing through Nashville, and Donna made a trip to Madison for a family wedding, but ours was mainly a telephone friendship. What would begin with a summary of music developments would dissolve into laughter over some silly inside joke. One day recently I got an e-mail from Donna with a link to some Lakers news she wanted me to know about. Later that day she suffered a severe stroke, losing any ability to communicate. She died on Easter morning at age 61. My worries start to go away, and I am on the mend. The best cure of all, when spirits fall, is a kind word from a friend.